My allergies are killing me today and I should have gone to bed hours ago, but my stuffed-up head seems to have also come with a serious case of sofa inertia, so I’m still up. Unfortunately, my cognitive ability has vanished under this pile of pollen, and any notion I had of writing a decent blog post has gone with it. 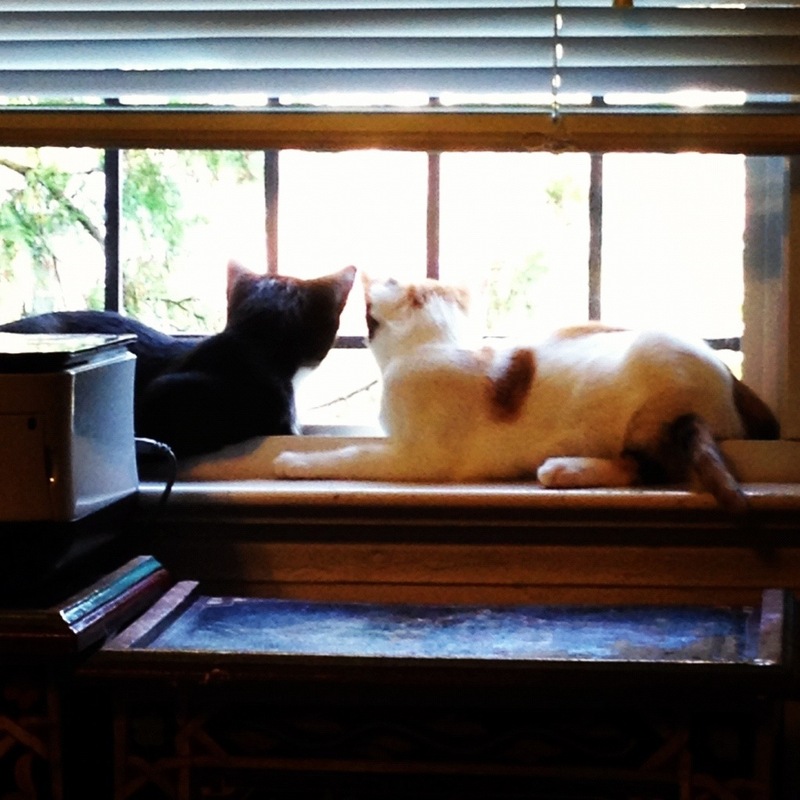 So here’s a picture of my kittens, watching the starlings in the trees as if it is television. It’s pretty cute – and posting it requires no thought whatsoever. And really, I’m getting off this couch and going to bed. Now. I swear. How cute! But, where is their “clicker”? ?